Ms. Ruby Lee Anderson (86) of Cairo Georgia passed from this walk of life into life everlasting on Sunday, December 2, 2018. Sister Ruby Lee Anderson was born August 2, 1932 to the late Lee Anderson and Irene Wright Anderson in Barwick, Georgia. She departed this life on Sunday, December 2, 2018 at home. Ruby graduated from Washington Consolidated High School Cairo, Ga., in the class of 1953 and retired from W.B. Roddenberry Company. 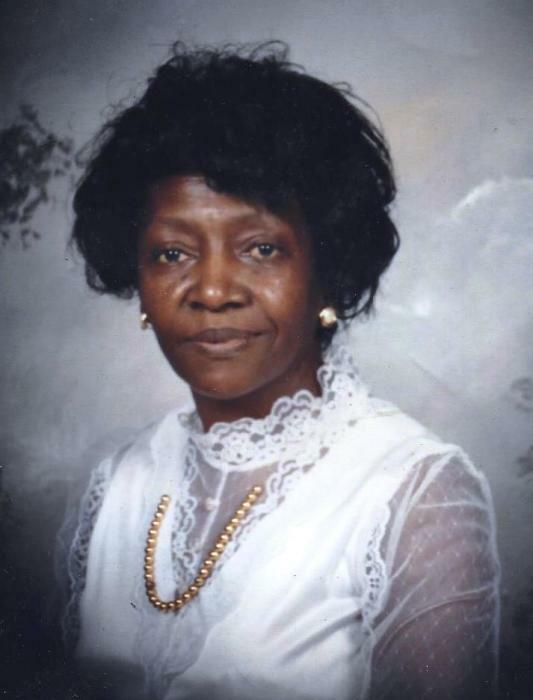 She was a life-long member of Beautiful Light Missionary Baptist Church in Cairo and was known throughout Grady County for her beautiful singing. She leaves to cherish her memory a son, Juan Anderson Sr. of Cairo, Ga.; a sister Lorene Anderson of Cairo, brother Earnest Anderson of Cairo, Ga; four grandchildren Kimberly (Kevin) Speed, James Anderson Sr., both of Cairo, Ga, Juan Anderson Jr., Valdosta Ga. And Ebonee Gatlin of New Jersey, eight great-grandchildren Keandrea Anderson, Je’Nylah Harper, Jhe’kyari Anderson, Kedari Garland, Eric Garland, James Anderson Jr. and Jaya Anderson all of Cairo, Ga. and Rihanna Anderson of Tampa, Fl. ; two sisters-in-law Myrtle Anderson of Cairo, Ga. and Georgia Anderson of Columbus, Ga.; brother-in-law Thomas “Buddy” Dennis of Cairo, Ga.; and a host of nieces, nephews and other relatives and friends. She was preceded in death by a daughter Swan Gail Anderson and a great grandson Juan Anderson III. Two brothers Horace Anderson and James Anderson and also a sister Constance Dennis.